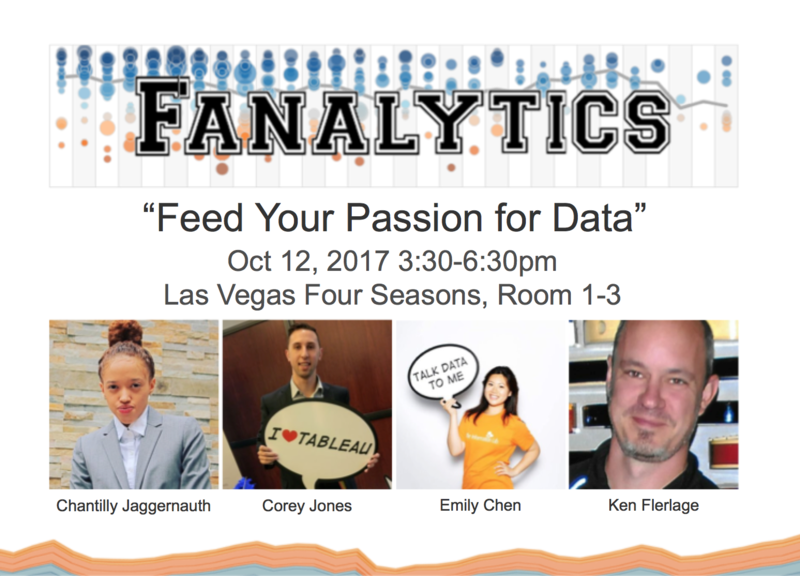 We're excited to announce that the 5th annual Fanalytics event will take place immediately following the final keynote at the 2017 Tableau Conference in Las Vegas on October 12th. Fanalytics is a fun meetup where members of the Tableau community get together and talk about sharing interactive data on the web using Tableau Public, our award-winning free platform used by authors around the world. This year we will kick off the session with presentations by four current authors rather than just three as we've done in previous years. These four talented speakers will share their amazing work with attendees and talk about lessons they've learned from their experiences communicating data in this way and interacting with others along the way. Here they are! After the presentations, we'll be holding breakout-style discussion sessions with designated areas where attendees can either talk to experienced users about getting started with Tableau Public or discuss relevant topics in the community such as attribution, data storytelling, or how to make a measurable impact on the world. The intent is to use this event as an opportunity to build community, form stronger connections, and have in-person discussions about the topics that matter the most to us. The community belongs to each of us, so let's work together to grow it. And to wrap it up, no Fanalytics event would be complete without an open bar and free time to mingle and chat. The Tableau Public team is looking forward to seeing you all there!